Reviewers have so far been floored by the M2. 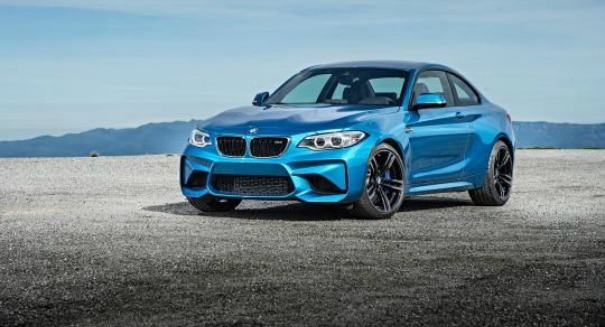 The 2016 M2 might be just what BMW fans have asked for, and then some — and it may be the best thing the German automaker has put out in years based on early reviews. The company that bills itself the makers of the “ultimate driving machine” has slogged through a series of watered-down versions of its famous lineup in recent years, but the M2 might make fans happy again, according to a Yahoo Autos report. The car will be going head to head against some fierce competition, such as the Audi S3 and the Mercedes-Benz CLA 45 AMG. But if any company can hold its own, it’s a German automaker like BMW. The 2016 BMW M2 has a base price of $51,700, and it’s fun, fast, and a “pure joy” to drive, Yahoo writes. The main drawbackers are high engine noise, no adjustable dampers, and rev matching in the manual. But other than that, the reviewer says this car is mostly positives, and big positives at that. The 2 series was introduced a couple of years ago to replace the 1 series. The 228i proved to be a worthwhile entry, and the M235i showed promise. But they never quite lived up to the 1M. Now, with the M2, car fans are hopeful that this is the car they’ve been waiting for. The car boasts a 3-liter turbocharged inline 6 cylinder with 365 hp and 343 ft. lb. of torque.